Raising organic livestock can be one of the easiest things you can do to increase food supply value. Organic products continue to increase in popularity and are sought by local consumers. Raising organic livestock starts with organic feed, and now Natures Grown Organics™ offers a convenient source of organic feed. 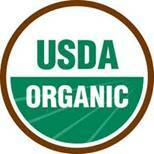 Certified organic feed can help raise wholesome, nutritious and flavorful food products. Whether raising meat, eggs, or dairy, using organic feed can add purity and quality to your enterprise. Raising organic livestock helps the environment. By choosing certified organic feed, you support the sustainability of our environment while fostering responsible energy usage and animal husbandry practices. Organic-raised livestock products continue to be in high demand. Raising livestock with certified organic feed will increase the worth of meat, milk or eggs you produce. Whether it is for your table or your community, the investment in organic feed pays dividends, because of this added value.